Offering a subtle texture and a natural warm tone, Entrada Rag Textured 300 Paper from Moab will provide photographers and artists with a distinct look and notable quality. A 100% cotton-based media, this 300 gsm paper is designed for presentation and has a heavy weight and a thickness of 22.5 mil to handle mounting with ease. Also, the paper has a natural coloration with a whiteness of 90.8% while not needing any optical brightening agents that can affect longevity. 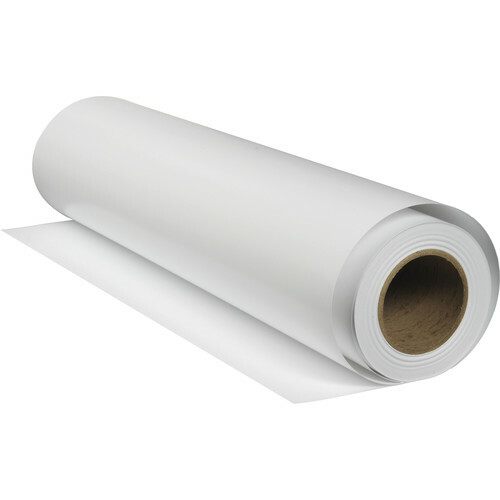 Furthermore, the matte paper is pH neutral and acid free for exceptional longevity. This paper is available here as a 44" x 50' roll. Box Dimensions (LxWxH) 46.0 x 7.0 x 7.0"